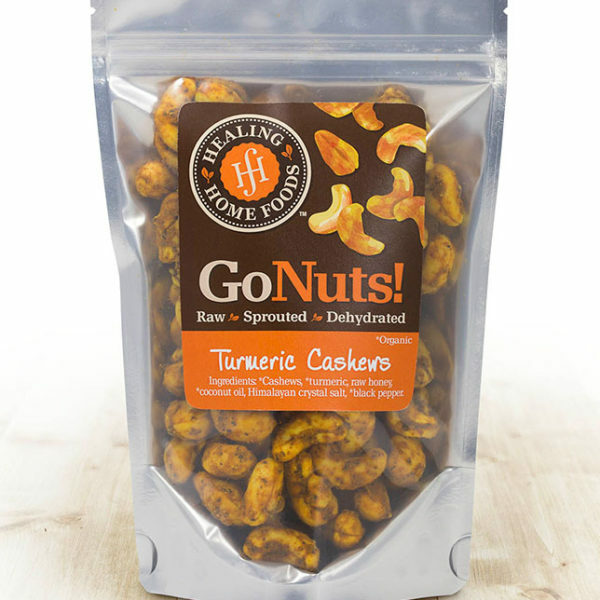 Cashews infused with Turmeric. Simple and tasty. 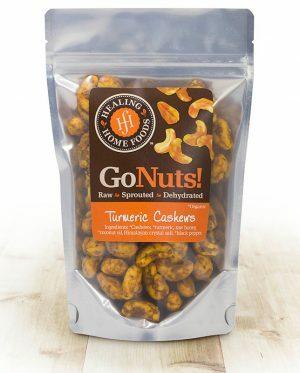 *Cashews, *turmeric, raw honey, *coconut oil, *black pepper, Himalayan crystal salt. Place any items you would like to send as a gift in your cart and at checkout you can choose between a gift box or an organza bag. Either gift wrap option is just $2. Want to stay up to date on What's cooking at Healing Home Foods?